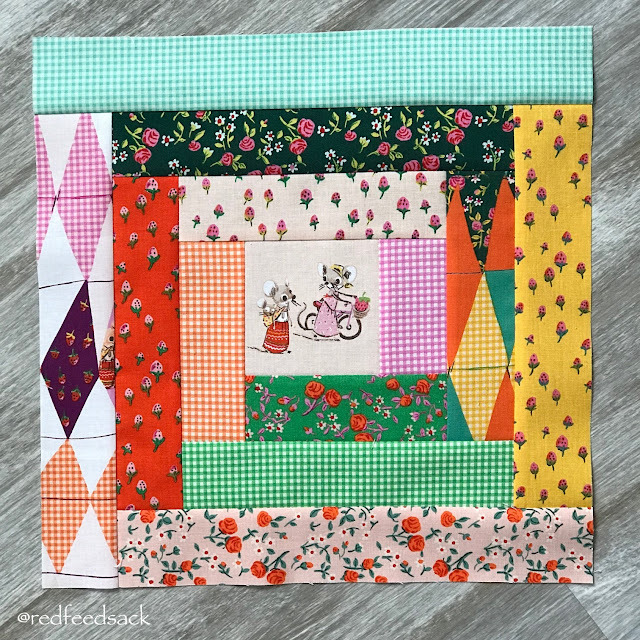 The Red Feedsack: Springy, Scrappy Log Cabin Quilt Block! Above are the Courthouse Steps blocks I received last year! 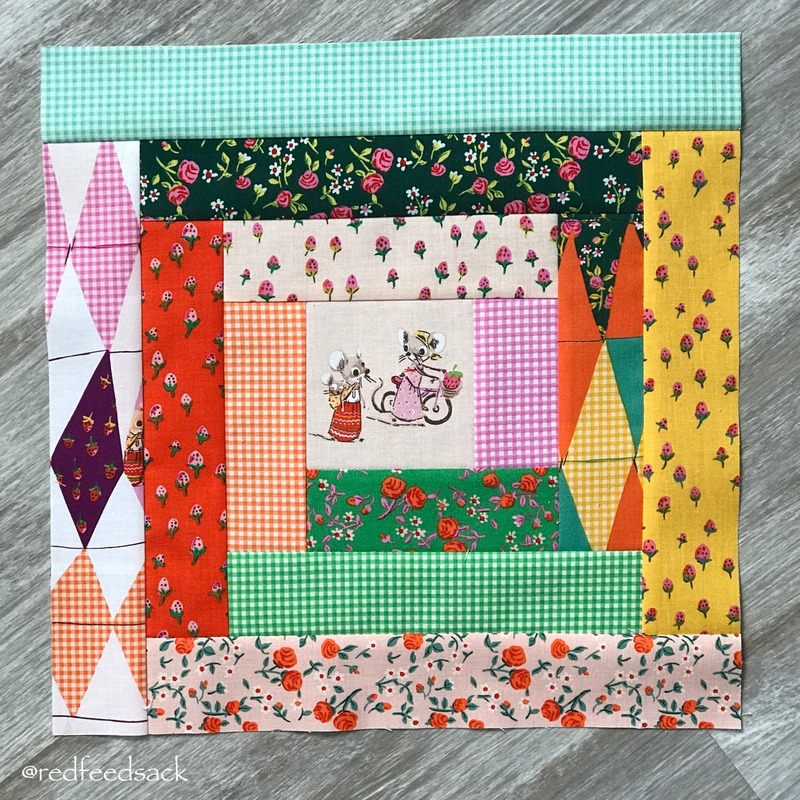 In case any of my readers are interested in making a Log Cabin quilt block this is a simple tutorial for you! There are SO many variations of the Log Cabin block but I wanted it to look similar to the Courthouse Steps from last year so I've stuck to the same basic dimensions. For this scrappy Log Cabin we will start with a center 3.5 inch square. I have asked that it be a "fussy cut" of something cute! 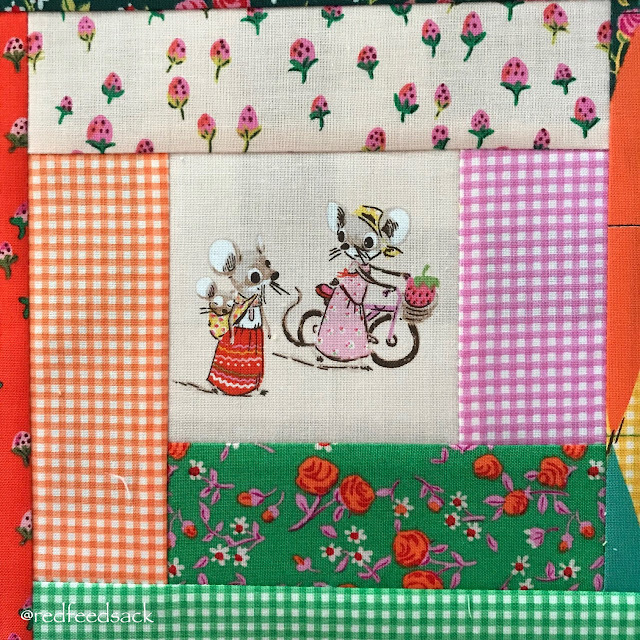 I've used the darling Trixie fabric with the sweet little mice as my fussy cut center. Isn't it just the sweetest? 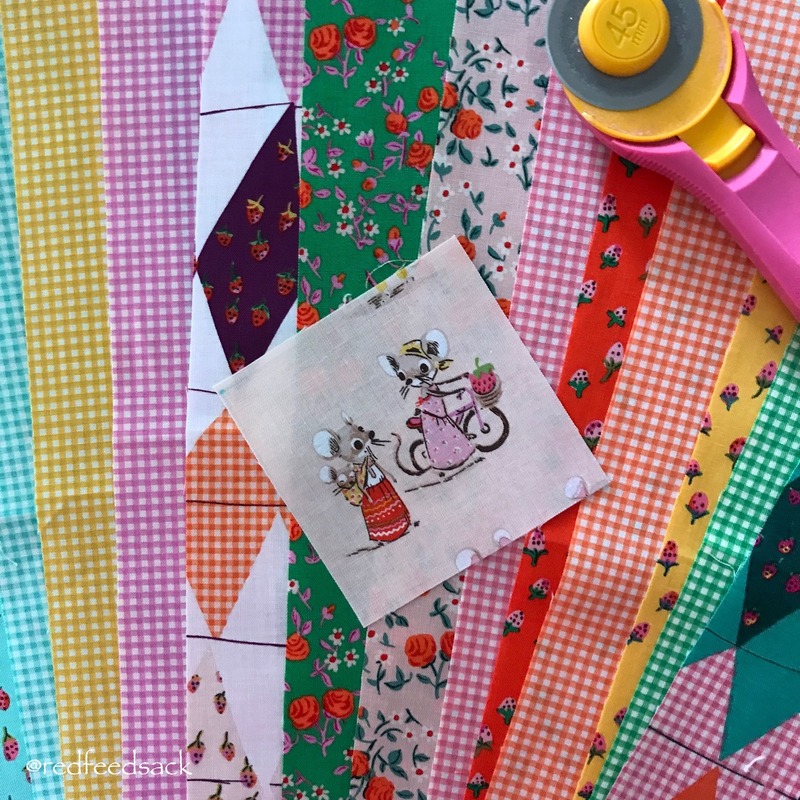 Gather your fabric scraps, iron them flat and then look them over closely to determine how you want the overall block to look. The way the Log Cabin works is that you start with your center square and then build on it in a clockwise rotation as pictured in the numbers above. 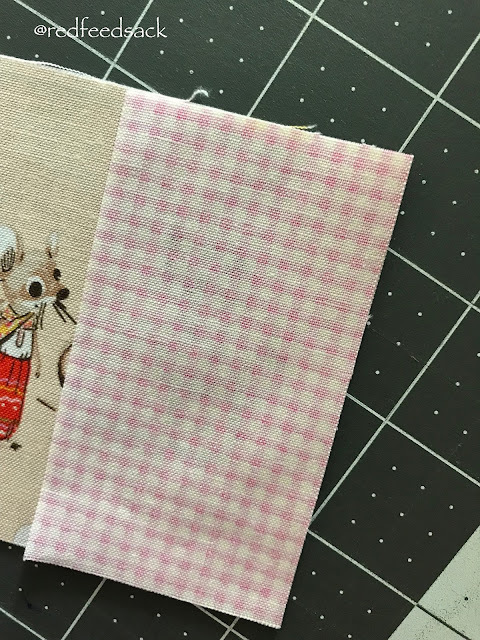 Begin with your fussy cut square and place your #2 fabric piece, right sides together on the right edge of your center square. Sew 1/4 inch seam. Lay that fabric strip over and iron the seam facing away from the center square. 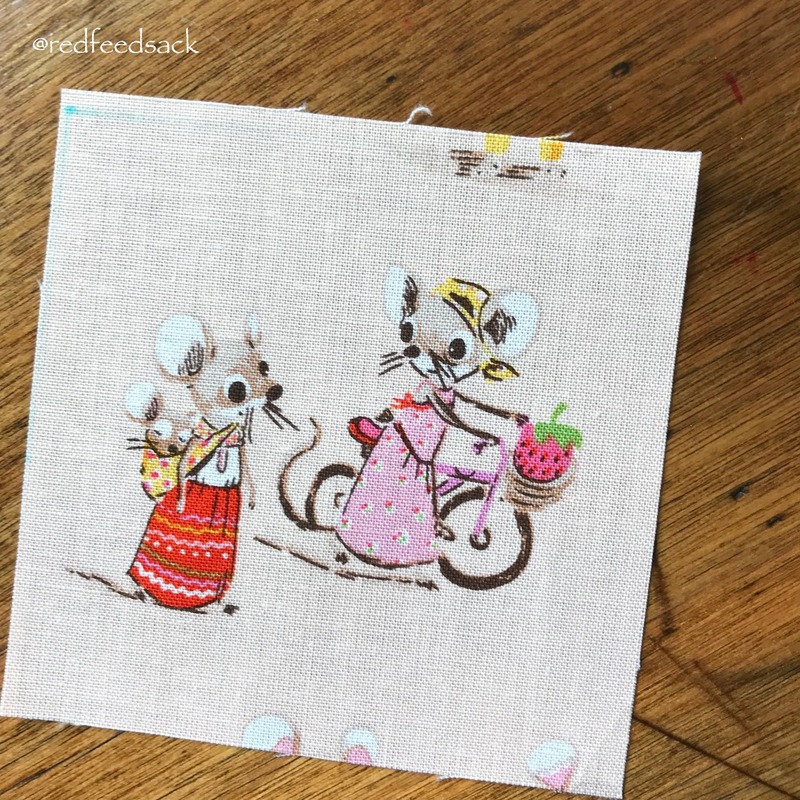 You will now continue with fabric piece #3, sew 1/4 inch seam and then press the seam, always away from the center square. Continue all the way around in a clockwise pattern. Be sure to carefully press each seam before sewing on the next strip. If you press each seam away from the center square, you'll end up with a very nice flat and uniform quilt block. 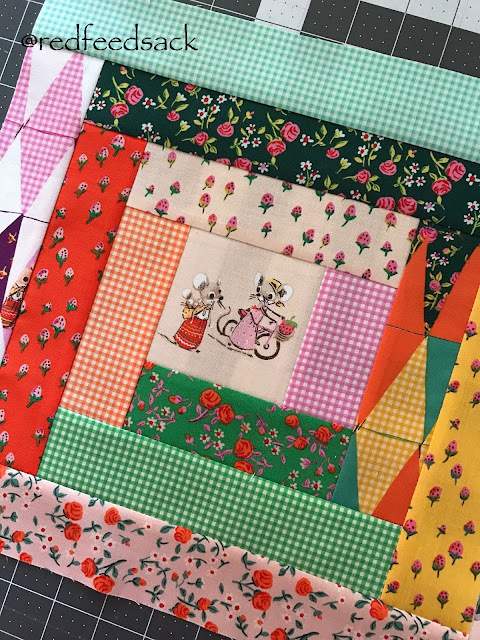 Before you know it, you'll have the most darling scrappy 12.5 inch Log Cabin block!!! If you are on Instagram, there is a great Log Cabin Block sew along going on right now! It is such a fun idea with so much inspiration at the @sunnydaysupply girls IG page as well as the hashtag #sunnylogcabinsal ! 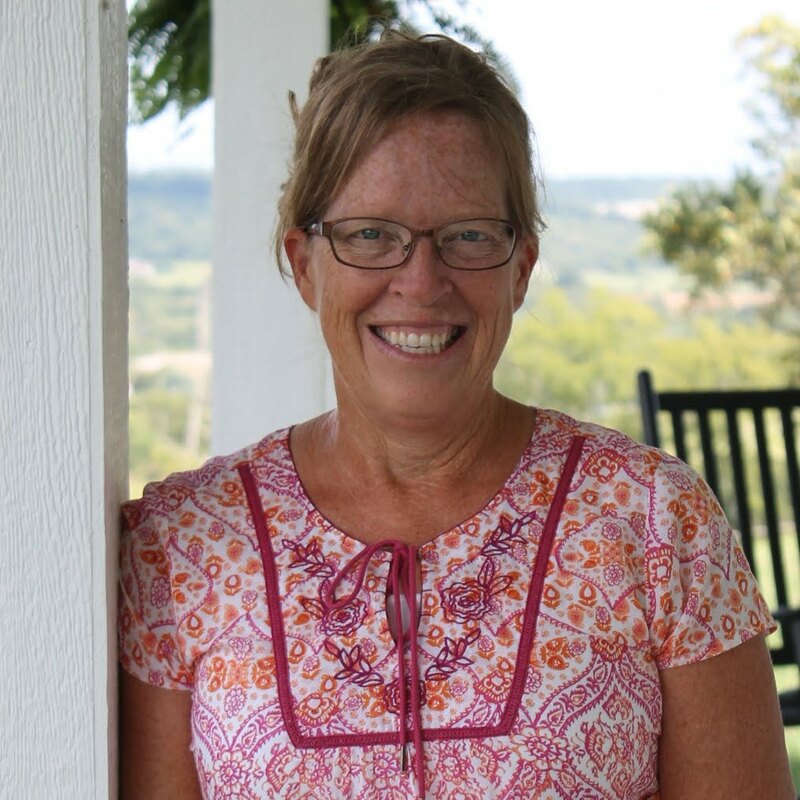 Be sure to check it out for some great ideas! On a side note. I purchased a fat quarter bundle of this Trixie fabric by Heather Ross. I have in mind to make two darling cosmetic bags for my grand-girls. They are at the age now where they need something like that... but still young enough to love darling little mice! And I guess I am too, because this fabric line makes me so happy! My favorite 🐭! This is going to be fun! 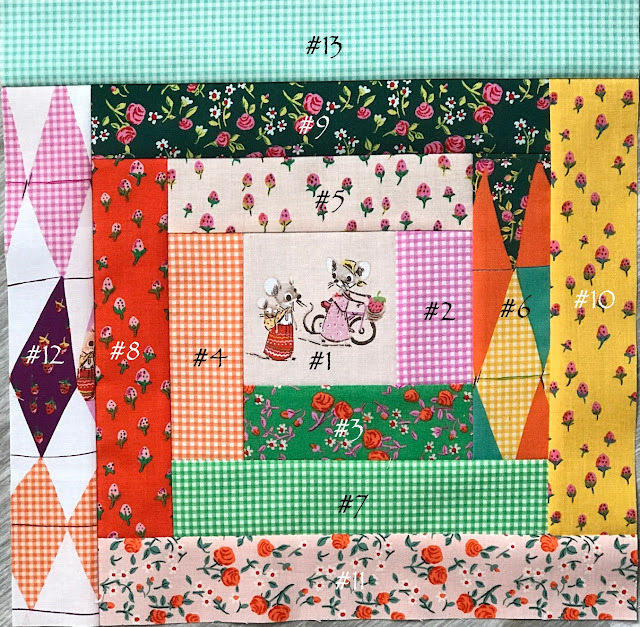 I’ve been drooling over the cuteness of all the blocks in the sunny day sew along! That is just the cutest...I am going to have to try it to see if I can.